And not a moment too soon for my sanity. Very cool! 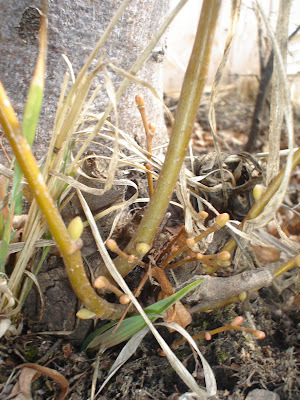 My mom used to have crocuses at her old house-I loved when the little green shots would start showing...meant spring is around the corner! 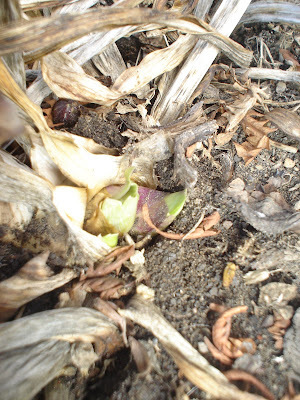 My day lilies have green shoots up out of the ground. Yippee!! 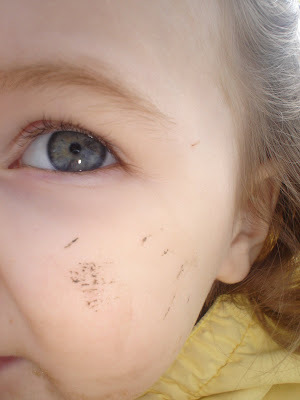 Love the dirty face :) If only that was as dirty as a child gets, lol.